Wow…it feels like it’s been a long time since I have posted any of my MDS projects! I’m excited to have one to share with you today! Since I shared with you my love for the chalkboard technique on my cards I thought it would be fun to share a My Digital Studio page made with this same look. Isn’t this a fun page?! I’m a bit of a font horder…and I have collected a ton of fabulous fonts. It’s so fun to feature them by using a technique like the chalkboard technique! I was surprised at how easy this was to achieve in My Digital Studio! 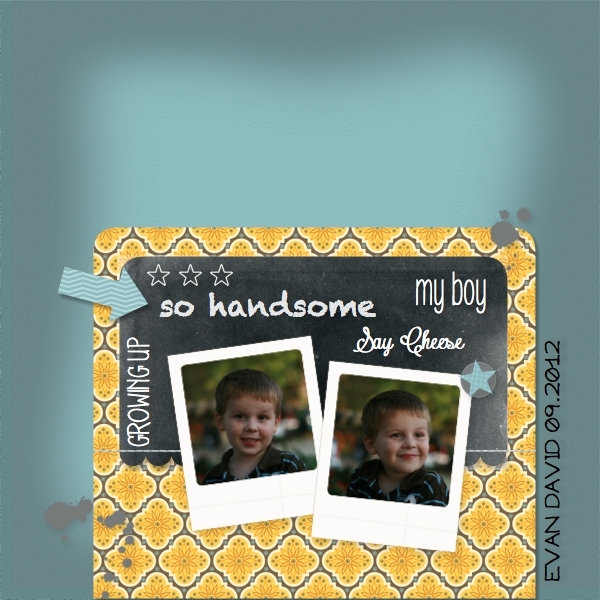 I used the Vintage Overlay #1 over a black piece of card stock to create the “chalkboard” feeling on this page. For $5.95 these are a steal! I actually used another one on the background of the Baja Breeze card stock as well to create the shadow. Have you tried the chalkboard technique in My Digital Studio yet?! If not it’s time to give it a try! It’s so easy and you will be glad you did! Did you know that Stampin’ Up! just announced a reduction in the price of My Digital Studio?! You can now purchase the full My Digital Studio program for $19.95!!! This is a drastic reduction in price and now you have no excuse to give it a try! You can also still download the FREE MDS Trial if you want to check it out before buying!